Officially, Denver has 78 neighborhoods. We've seen some interesting one's spring to life in the past few years, RiNo, LoHi, LoDo, SoBo and even the newly formed SloHi (Sloans Lake & Highlands). With so many neighborhoods to choose from, how can you decide? A web-based company out of Pittsburgh called "Niche" analyzes and ranks neighborhoods based on Public School Grades, Crime & Safety, Housing, Good for Families, Diversity, Walkability, Public Transport and many other factors to come up with a neighborhood score. They've recently analyzed Denver and here are the top 25 neighborhoods to live in according to Niche. Feel free to click on the neighborhoods to see the available homes for sale in that area. #1 - South Park Hill - Home to Governor John Hickenlooper, the Park Hill neighborhood is one of Denver's oldest and dearest neighborhoods, full of Denver Squares, charming bungalows and a few Cape Cods dotted throughout. 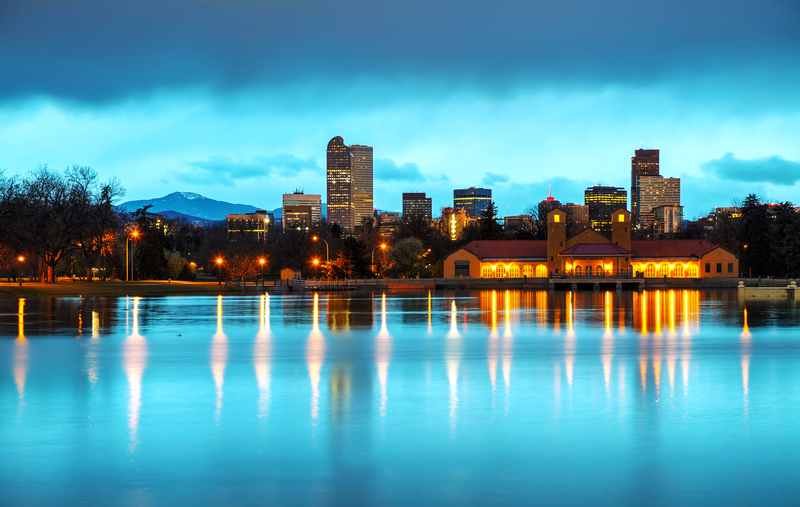 A quick stroll or bike ride away from City Park which is home to the Denver Museum of Nature and Science and the Denver Zoo, makes it a popular neighborhood for families. From here residents have easy access to all of the amenities, including Cherry Creek directly South. #2 - Country Club - Befitting of its name this area is upscale, yet down-to-earth and proud to maintain the exclusive status for which it was originally created. From here you can walk or cycle to neighboring Cherry Creek for high-end shopping and dining, though there are plenty of low-key options in this neighborhood as well. The homes here have heavy influences from Colonial, French Chateau, Tudor, Santa Fe, and Georgian architecture with a few Denver Squares, bungalows and Victorians mixed in. #3 - Cheesman Park - One of the oldest neighborhoods in Denver, Cheesman Park is a diverse blend of residents surrounded by coffee shops, bars, shops and restaurants that cater to just about every taste. The park itself boasts mature trees and is filled year-round with locals. This neighborhood offers high-rise condos mixed with historic mansions and always has plenty of activities going on. #4 - Congress Park - Located just ten minutes to downtown Denver, this neighborhood is home to families, young couples and singles with plenty of restaurants, watering holes, and unique boutiques. Bluebird Theater is a popular music venue where several rock stars got their big break. The park itself offers a playground, tennis courts, and a public swimming pool, as well as a casual hangout for families and friends. Historic 7th Avenue is chock full of gorgeous mansions and incredibly grand homes with mature landscaping and unique architecture. The surrounding streets offer up mostly Denver bungalows and Denver Squares. #5 - Platt Park - A diverse mix of residents, you will often see families, couples, dogs, runners and cyclists out and about enjoying the local area. Among Denver's most tranquil neighborhoods, Platt Park is also home to Denver's famous Antique Row, Old South Pearl, and the historic Decker's Library. The homes are anything from brick bungalows, to English Tudors and modern new-builds with a few Victorian's sprinkled in for good measure. The lightrail offers easy access to Denver for those who prefer the mindless commute into downtown. #6 - Washington Park - This established neighborhood is one of the most desirable in the Denver Metro area due to its charming homes and proximity to things like Washington Park, restaurants, and public transportation. The tree-lined streets of this neighborhood offer the peaceful suburban feel right in the heart of the action. Though locals would never call it by its full name, it is lovingly dubbed “Wash Park” and is frequently named Denver’s favorite park. Locals enjoy using the park for a variety of fitness activities, including running, cycling, yoga and more. #7 - Cherry Creek - This classy neighborhood is chock full of shopping and dining options to suit your every whim. Most widely known for the Cherry Creek Shopping Center, you will find more than 150 stores and some of the most popular restaurants in Denver metro. You will also find an impressive number of galleries, unique shops, luxury hotels and spas. #8 - Wellshire - Comprised of post World War II brick and frame ranch style homes on sprawling lots along winding streets, Southern Hills / Wellshire Neighborhood offers its residents a quiet lifestyle with a strong sense of community. Toward the Southeast, you will find the ever popular Wellshire Golf Club and the Wellshire Inn. #9 - Hilltop - This prestigious neighborhood is known for its central location and beautiful streets, and is a very desirable location. Just about every amenity one could want is nearby including groceries, fitness classes, restaurants and shops, while Cherry Creek is only a few minutes away for high-end shopping. English Tudors and ranch-style homes are mixed in among contemporary new-builds and million-dollar castles. Cranmer Mansion is one of the most notable sites in the neighborhood and sits at Hilltop's highest point. #10 - North Park Hill - See the Park Hill description above and move it North a bit. The homes in North Park Hill are a little smaller and a bit more affordable. A perfect spot for the first time home buyer. #11 - West Highland - Conveniently located just across the freeway from downtown Denver, residents are drawn to this beautiful area for its diversity, hilly, tree-lined streets, and dozens of popular shops and restaurants. The homes here range from traditional bungalows and brick homes to new-builds and modern lofts. Aside from having access to just about every amenity one could need, people are also drawn to this neighborhood for its urban feel without the touristy, buzzing energy that characterizes downtown Denver. #12 - Capitol Hill - This vibrant neighborhood offers plenty of culture and history, and is home to the Colorado State Capitol (360 TIP: the steps of the capitol are exactly one mile high!). The streets here are filled with hundred-year-old mansions and mixed in with plenty of popular museums. This great area claims more than 50 galleries, studios, museums, shops, restaurants, and coffee shops so it’s highly unlikely you will ever get bored if you live in this area! #13 - Downtown - Living Downtown puts you in the heart of it all. 16th Street Mall, Union Station, Coors Field, and the plethora of shops and restaurants on every street corner. This walkable neighborhood offers museums, art galleries, boutique shops, craft breweries, coffee shops, movie theaters, comedy clubs, theater productions and everything in between. #14 - Montclair - The Montclair neighborhood is bordered by 6th Ave, Quebec St, Colorado Blvd and Colfax Ave. Mayfair, Its sister neighborhood to the west extends to Ash Street. This quiet neighborhoods was one of Denver's original suburbs, and has many large Victorian and Queen Anne homes on expansive lots, and was later filled in with Bungalows, Tudors and Ranches. The central area of Montclair was one of Denver's first designated historic districts. $15 - Belcaro- This casual neighborhood offers peace and quiet in the heart of Denver, while maintaining easy access to all the amenities. Just a hop, skip and a jump from Cherry Creek, Old South Gaylord and Bonnie Brae, Belcaro is known for its winding streets, shops and restaurants. The homes are mostly ranch-style and new-builds with well manicured lawns and mature landscaping. The easy access to the freeway is surprising considering how quiet and peaceful the neighborhood feels. #16 - Cory-Merrill - The residential enclave of Cory-Merrill features large lots and stately homes. Bounded by Mississippi, I-25, University and Colorado, Cory-Merrill offers lush and quiet living not far from downtown. Nearby Washington Park provides miles of recreational paths, lakes and gardens. Residents have easy access to attractions in Cherry Creek, and are close to the charming shops and restaurants of Bonnie Brae and Old South Gaylord. #17 - Mayfair/ Hale - Though relatively "undiscovered," Mayfair & Hale are a unique combination of great qualities that draw residents to the area. With great proximity to downtown, the neighborhood has a suburban feel with plenty of parks and green space for kids and families. Residents enjoy staying active and can often be seen jogging, walking their dogs, pushing kids in strollers, and catching up with neighbors. The dining options are fairly casual in addition to coffee shops and other amenities that can be found mostly on Colorado Boulevard and Colfax Avenue. The homes found here are mostly Tudors, bungalows and ranch-style with spacious yards and beautiful landscaping. #18 - University Park - The Homes immediately around Denver University are smaller and more for the students. Get a little further away into University Park and you'll find wide streets with big mature trees and some big beautiful homes. #19 - City Park - The heart of the City and the biggest Park in Denver. You've got the elephants in your backyard for goodness sakes. Enjoy a round of golf, Nature and Science Museum, the zoo, the shops of Colfax and so much more. You're just minutes to downtown and have easy access to I-70. #20 - Washington Park West - Beautiful Bungalows, Denver Squares, Victorians and Tudors all intermixed a few modern builds make this a very eclectic neighborhood. You've got the beautiful Was Park to your East and the hip shops and restaurants on Broadway to your West. A very hip place to call home. 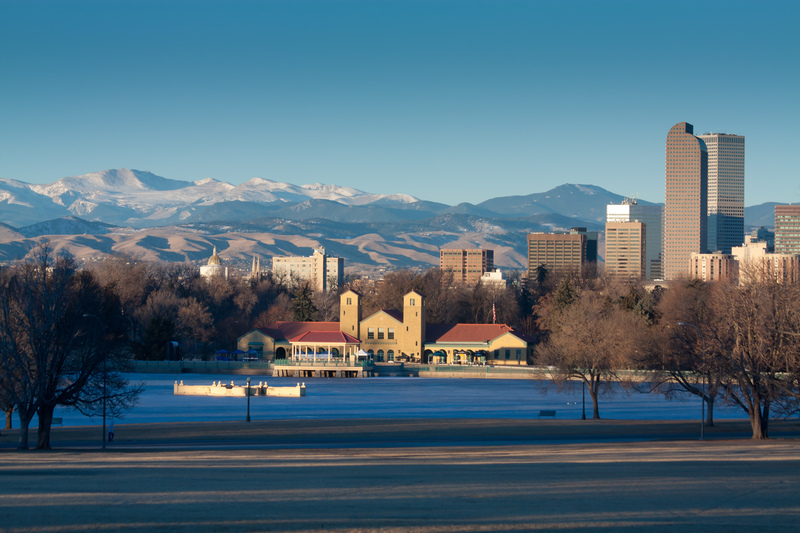 #21 - Highland - Conveniently located just across the freeway from downtown Denver, residents are drawn to this beautiful area for its diversity, hilly, tree-lined streets, and dozens of popular shops and restaurants. The homes here range from traditional bungalows and brick homes to new-builds and modern lofts. Aside from having access to just about every amenity one could need, people are also drawn to this neighborhood for its urban feel without the touristy, buzzing energy that characterizes downtown Denver. #22 - North Capitol Hill - This vibrant neighborhood offers plenty of culture and history, and is home to the Colorado State Capitol (360 TIP: the steps of the capitol are exactly one mile high!). The streets here are filled with hundred-year-old mansions and mixed in among plenty of popular museums. This great area claims more than 50 galleries, studios, museums, shops, restaurants, and coffee shops so it’s highly unlikely you will ever get bored if you live in this area! #23 - Byers/ Speer - Seventh Avenue to the north, Downing Street to the east, Alameda Avenue to the south, and Broadway to the west. This centralized area may not be the Mile High City’s top nightlife destination, but between its historic homes, inviting eateries, and quirky shops, it’s the perfect place to for an urban dwelling. $24 - Southmoor Park - With close proximity to the DTC, this neighborhood is ideal if you're looking for homes built in the 60’s and 70’s on large lots. The neighborhood offers easy access to local parks, Light Rail, I-25, DTC and shopping along Hampden. #25 - Stapleton - Stapleton has eight distinct neighborhoods and is an integrated mix-use community with multiple retail districts and a wide range of housing types. From affordable and mid-range Family Homes, Town Homes and Condos to Semi-Custom and Urban Estates there is something here for every family. All of these neighborhoods are connected by massive open spaces, parks and beltways. Did your neighborhood make the list? Any neighborhoods you think should be listed? Write your comments below.